Does back to school mean back to bedtime struggles at your house? According to Mattress Firm and pediatric neurologist Sujay Kansagra, director of Duke University’s Pediatric Neurology Sleep Medicine Program and author of My Child Won’t Sleep, if any of these phrases sound familiar, you may be unknowingly sabotaging your child’s sleep – and school success – at bedtime. 1. “Tomorrow is a school day – bedtime is an hour earlier!” Right before the first night of school, parents often move up bedtime by an hour or more. Children need longer to adjust to a new sleep routine. Move your child’s bedtime up by 15 minutes per day in the days – or weeks – leading up to the start of school, until you reach your school-year bedtime. 2. “You can watch one cartoon before lights out.” While watching TV might seem like a good way to let your child wind down, artificial light from smart phones, laptops and TVs trick the brain into thinking it is still day time, making it harder to fall asleep. End screen time at least one hour before bed. 3. “No soda after dinner!” No soda after dinner is a good place to start, but even morning caffeine can disrupt nighttime sleep. Children and adolescents should avoid caffeinated drinks. 4. “You need to stay in and finish your summer reading.” If your family put off that reading list until the last week of summer, don’t let binge-reading cut out your child’s outside time. Exposure to bright light in the morning can help maintain a healthy sleep/wake schedule. 5. “Wake up, sleepy head!” Tried everything and your child is still sleepy when the alarm goes off? Check out his mattress and room. Is the room too light? Install blackout curtains to block out that late-summer evening sun. Is your child still sleeping on the same mattress he’s had since he was in diapers? Mattress Firm recommends replacing your mattress every eight years,as your bed collects a buildup of sweat, dead skin and dust mites over time. Is his mattress too firm or too soft? Just like adults, children have preferences for firmer or softer mattresses, and the wrong mattress can make a child toss and turn. 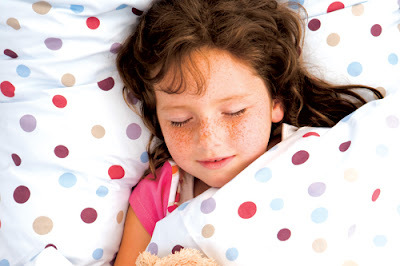 Let your child test different bedding at a Mattress Firm store to know what’s most comfortable for him.